There has always been a great debate over whether animals have emotions like us. I for one say "Yes!" We have a Giant Alaskan Malmute, called Kia who is 3 years old and she is in love with Buddy a neighbors dog. You might call them Lady and the Tramp! He is definitely the "Bad Boyfriend." Kia came into our lives about 3 years ago. She was 3 months old and our son Travis went to look at her. She was in a small pen with her parents. Kia weighed about 30 pounds and had very little muscle do to the small pen. Travis felt sorry for her and bought her bringing her home. He was going to buy a house and instead moved into an apartment, so Kia lives here. Kia has grown into a beautiful dog. She weighs about 150 pounds. Now to Buddy. He is the neighbor's dog. Everyday he comes over and waits for her to come out to play. He brings her gifts, a dead chicken, a dried out steer head, bones and assorted things. The other day she was laying by me as I was feeding the horses, and she saw him. She waited crying until her got closer than she jumped up and ran to him. Kia sometimes gets sore running around. So one day she was laying down, and hurt. Buddy stood over her licking her face and than cuddled up with her. He is the "Bad Boyfriend" as he was taking her across the street. So we put gates up to keep her in. Well he shows her a way under the fence to get out. The funny thing was when I was looking for the place they got out he showed me. He is also the not smart boyfriend! Do I think animals have emotions....You bet I do. Elderberries are one of the little known good foods for gout. Try to get them into your gout diet as juice. Herbalists have said for centuries that elderberries can relieve gout. But who would imagine that the tiny black (or red) elderberry, found in clusters at the tip of purple stalks on white elderflowers, would be good for gout? Not many. But of all the berries int he USDA database, they score highest for one key anthocyanidin-elderberries have a whooping 758mg per 100 grams of the berry of cyanidin. That is 10 times the amount in cherries. 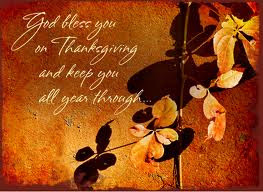 Happy Thanksgiving to all! I am cleaning my mom's silver bowls and silver ware. It has not been cleaned in over 30 years or used. My mother passed away 26 years ago. I was 30, and miss her so much. I remember her using the silverware and bowls for Thanksgivng a long time ago. Just recently my Dad found the silverware and gave it to me. I am honored. I am excited for the kids and grand kids to see. Starting traditions and keeping them is what gets us thru the tough moments in life when we miss the ones who have gone on home to Heaven. Because when we share traditions we share memories of fun times. So start a tradition. Even if its saying a prayer before meals, or a special dish. Make lots of memories, because someday that is all that you will have. Give thanks today for everything in your life. We are truly blessed! Heres a beautiful picture of Tysen! The dream of someday owning a horse was helped along with the TV shows of Bonanza, Roy Rogers and others. How many of us watched National Velvet and imagined being Velvet. Dreaming of Black Beauty, The Black Stallion, wanting to have that special relationship with a horse. Holding onto the mane, speeding thru the woods in a full gallop not falling off) were all part of the dream. his name is Tysen. 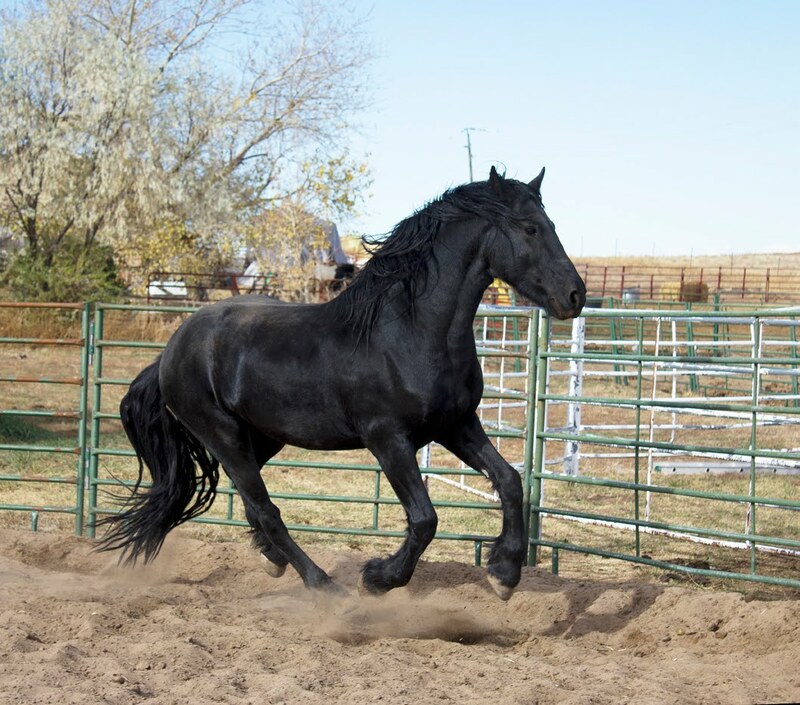 Tysen in a purebred Friesian Stallion. 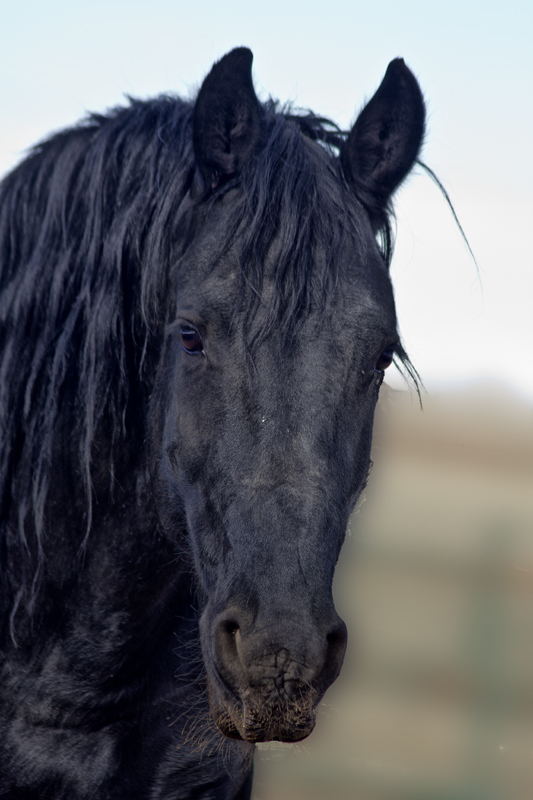 A Friesian originated in Friesland, Netherlands. At one point they were almost extinct. During the Middle Ages the knights rode them. There are stories of them standing over their fallen owner striking with their legs, rearing, fighting to protect their fallen owner. They are kind and beautiful. Mel Gibson rode a Friesian in Braveheart. Our Tysen is all of this and more. He likes to play and run along the fence with you. He takes his feed bowl and throws it over the fence. He has fathered 9 foals at Lost Creek and they are all magnificent like their daddy. I will tell more about Tysen as time goes on. Here is Grace being ridden my Martha. Baby Rose is running with alon with Kia our Alaskan Malmute. I wanted the first Post on Lost Creek Friesian Ranch to be an introduction. But, yesterday changed the post. First we live east of Denver, on a small acreage and raise Friesian Sporthorses. We have a total of 29 horses, 2 of which are Stallions, balance are brood mare, babies or riding horses. One of the horses named Grace that is here is a Thoroughbred, yes the kind that races. Grace came here to live on the ranch about 3 years ago. She was tall and a bay color. A lady named Martha came to visit, saw Grace and it was a match made in heaven. Martha comes out once or twice a week and on the weekends. She would ride Grace, groom her and just sit and watch her. Last July, Grace had a foal named Rose. She is black like her daddy, Tysen(Friesian Stallion). All of Martha's family and friends were sent birth announcements on Rose. Martha had her family. Yesterday we went out to feed and Grace was laying on the ground. She was in a lot of pain. She had colicked. Colic in a horse can be tragic. Their intestines are free floating and they can twist and you have to euthanize them. The vet came and did euthanize Grace. Martha had lost her best friend. It was so sad. She still has Rose.